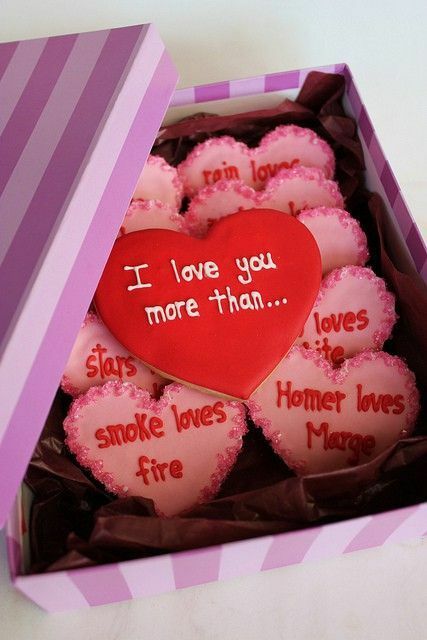 5 top Valentine’s day gift ideas! Alright, we’ve got a confession to make – Between the birthday gifts, Christmas surprises, anniversary peek-a-boos and the overall trinkets of our affection – We’re all bled out dry with our creativity. Not to mention our pockets are probably worse for wear, thanks to that recent V-day outfit splurge. Perfect. A dash of creativity could come at no better opportune moment. For all the sad souls out there with empty pockets along with a bled out imagination, here are 5 Valentine’s day present ideas for your chubbyhoneylove (or whatever you call them). Nothing spells romance more than the gift of love – Literally! Sneak into his/her room and cut out roughly 30 to 40 red hearts of different shapes and sizes from a sturdy material, and stick them onto his/her wall for the desired ‘sprinkling’ effect. Try bending and stapling them in the middle for a 3-Dimensional effect. Great for those with a penchant for sweet treats. It’s fairly easy. Poke a hole through the marshmallows, dip them in his/her favourite flavoured toppings (chocolate, strawberry etc) and top it off with some sprinkles! Then pop them into the fridge to harden for 20 minutes and voila! Pretty poppers! Sure, this idea’s been used and reused, to the point where it’s being sold at a couple of shops along Orchard Road! But hey, there’s nothing wrong with creating your own coupon books, right? You can even push the boundaries from PG-13 to a little R-21 fun. Keep it small and simple with little cards, and have fun with it! Well these are adorable! If you’ve got a passion for baking, or a particularly steady hand, why not try these on for size? Get creative with your answers. For example: I love you more than Sheldon loves his spot. Hey, that’s true love. If all fails, why not just kick it old school with a simple card? You don’t need fancy shmancies to express your love, neither do you need to pay through your nose for that new Fossil bracelet’s she’s been eyeing since last June. Tell your partner how you feel, and don’t forget to give it a kiss for good measure.